When I work with you, not only are you sure of receiving beautiful bespoke wedding flowers, you’re also guaranteed to receive all the personal attention that you so rightly deserve. To ensure that I’ve got plenty of time to lavish on my clients, I tend to work on only one wedding per weekend so please get in touch as soon as possible to check my availability for your wedding date. We begin our journey with an initial consultation and these are always great fun. Whether you come to our meeting with Pinterest boards full of images, a folder bulging with ideas or no firm thoughts about flowers at all, you’ll leave feeling totally inspired. We can talk about your venue, your likes and dislikes, your vision for your wedding and all the hundred and one other things that will make your wedding unlike any other. After the consultation and based on our discussions, I’ll provide you with a personalised, detailed quotation and hold your wedding date for two weeks so you’ll have time to make a decision without feeling under any pressure. 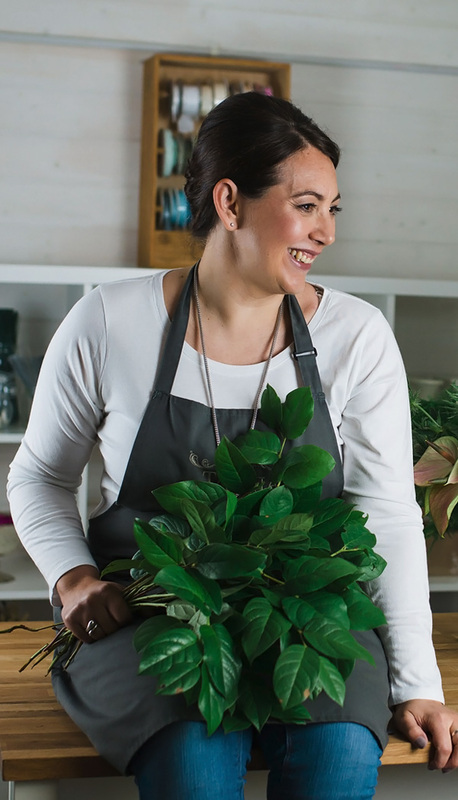 Once you’ve decided I’m the florist for you, a deposit secures your date and then we can get on with the really exciting part of planning your floral scheme. As your wedding day approaches, the excitement really begins to build. I’ll undertake a site visit so that I can get to know your wedding venue before the day and talk through all the details with the team there. We will also have our final meeting where all the final details can be confirmed. This can take place at your venue or at my garden studio and I promise you, there will be lots to discuss. Step 4 – The Floristy – At Last! My amazing supplier buys from the Dutch flower auctions on a daily basis so the flowers I use are always in peak condition. I personally complete every wedding with lots of care and love. I’ll carefully deliver the flowers to you on your wedding day and set everything up at your ceremony and reception venues so all you need do is enjoy every moment of what I know will be a fantastic day.